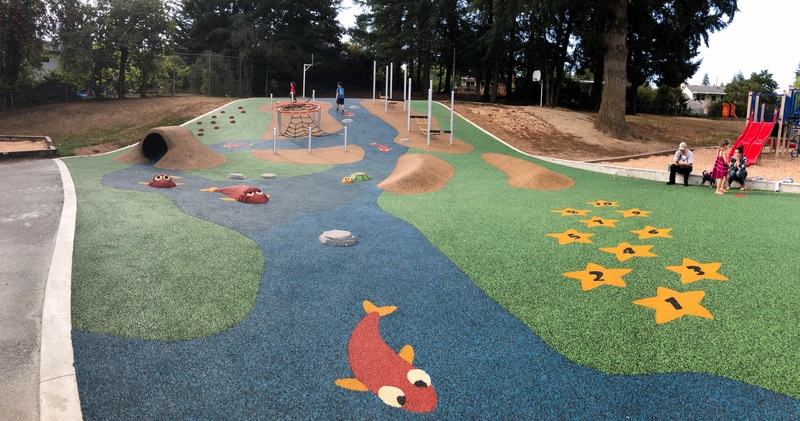 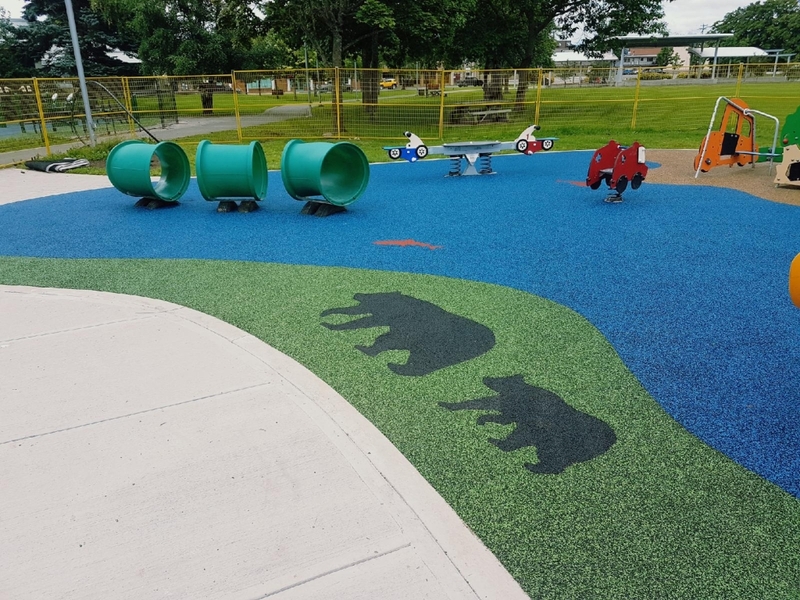 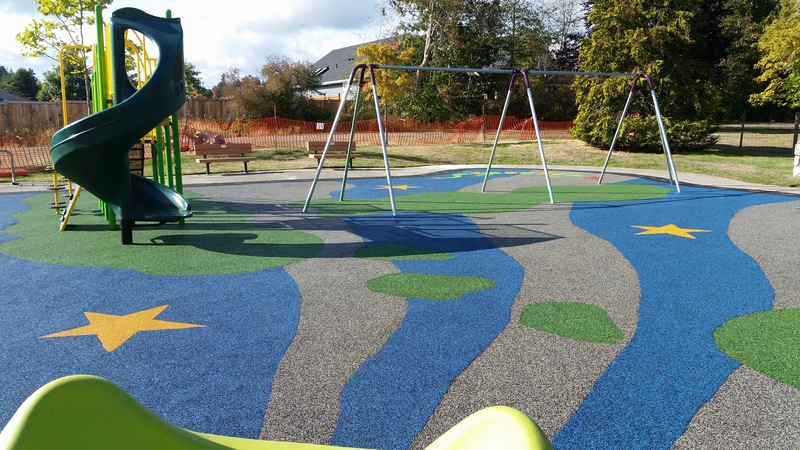 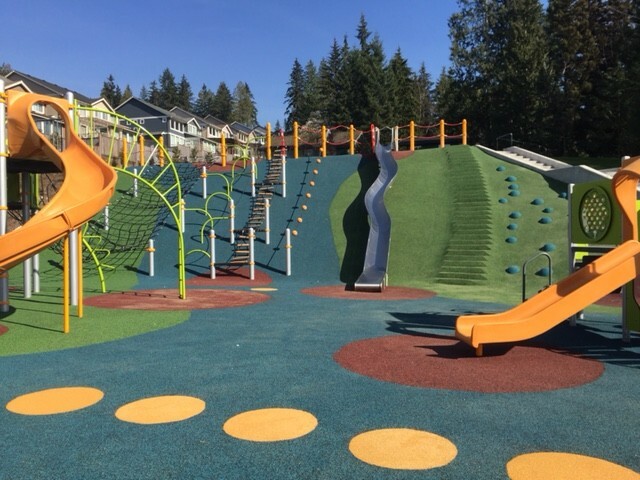 Installing Landsafe recycled rubber safety surfacing for your playground will provide an accessible space with increased opportunities for inclusive play and add the benefit of play value right in the safety surfacing. 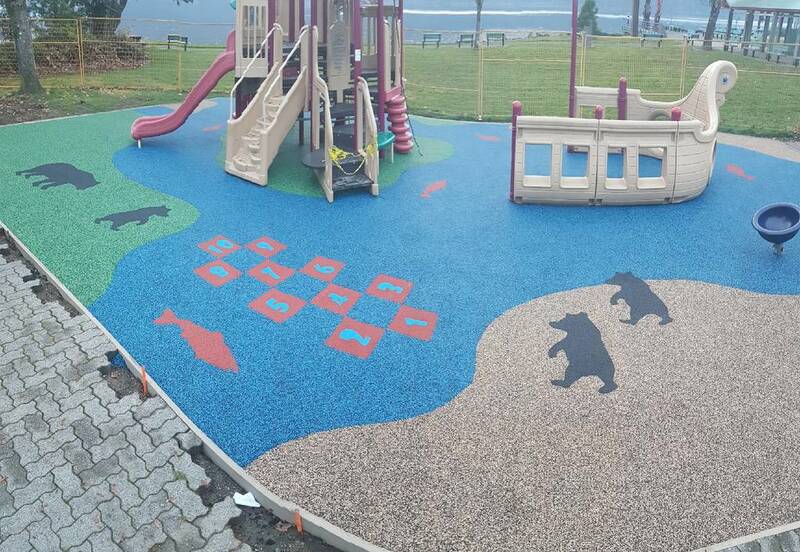 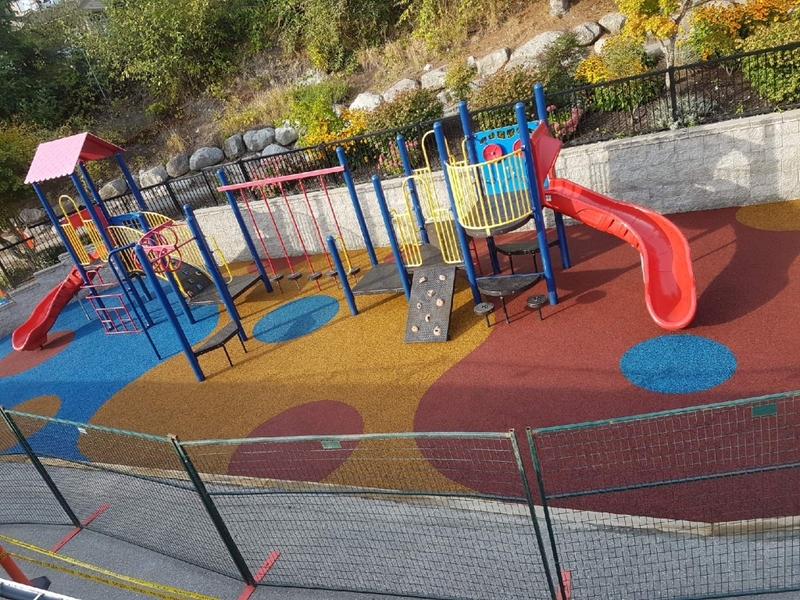 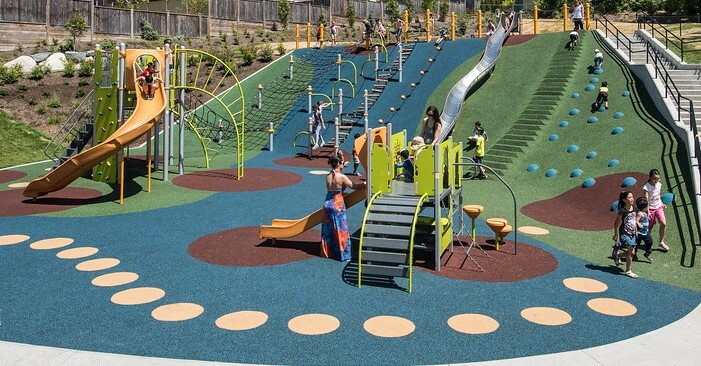 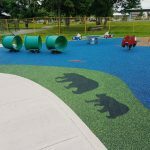 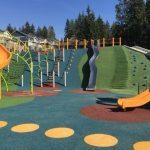 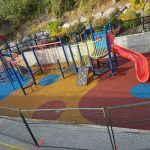 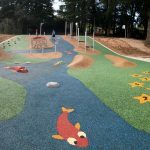 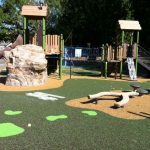 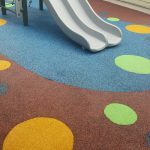 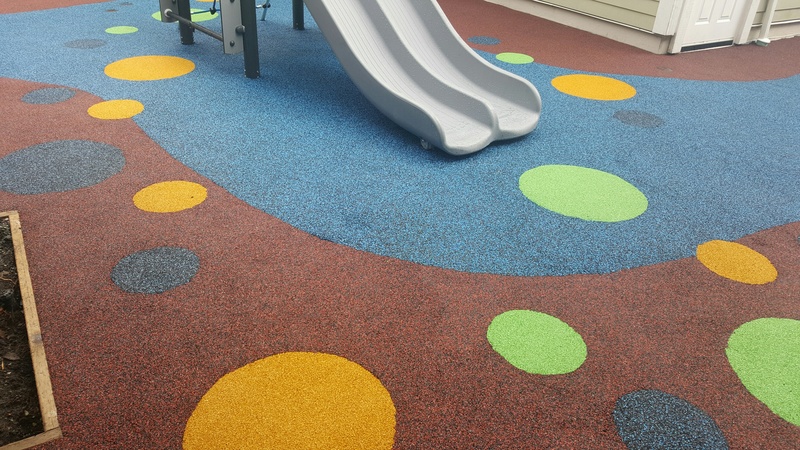 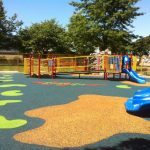 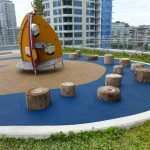 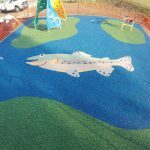 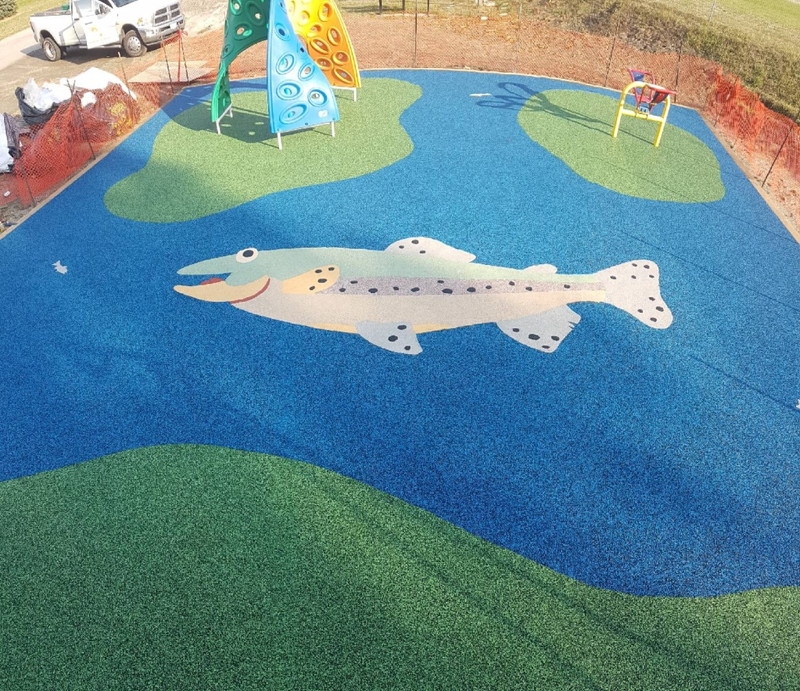 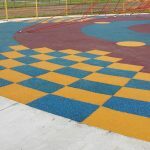 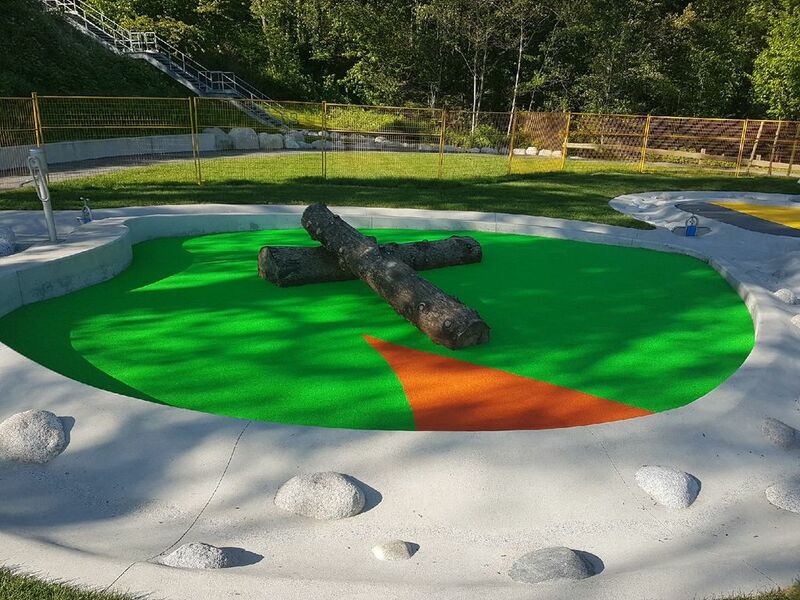 Whether you are looking for a colourful, vibrant and energized space or prefer serene colours and the natural designs of nature, Landsafe’s wide range of available colours and endless design options can give you the custom playground of your dreams. 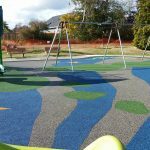 Landsafe® is a unique recycled rubberized surface, ideal for use as a playground surfacing, designed to enhance safety within the play environment. 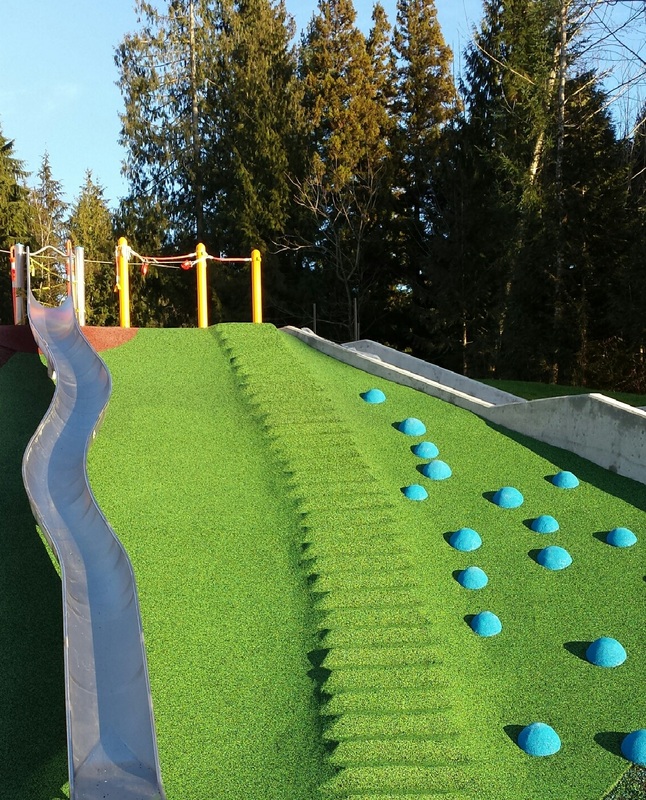 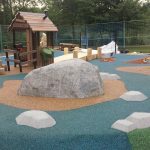 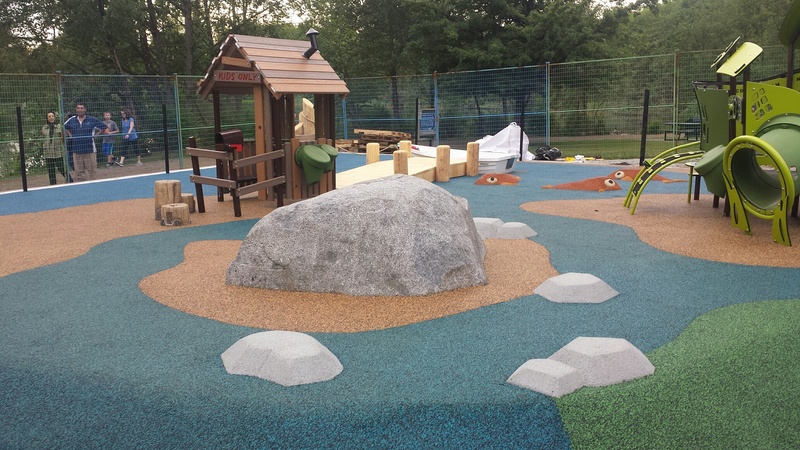 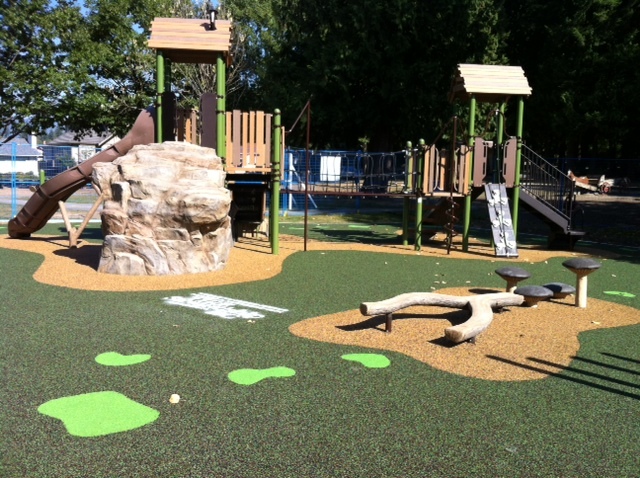 The Landsafe® system offers a seamless, safe, accessible, porous surface for the ultimate play environment. 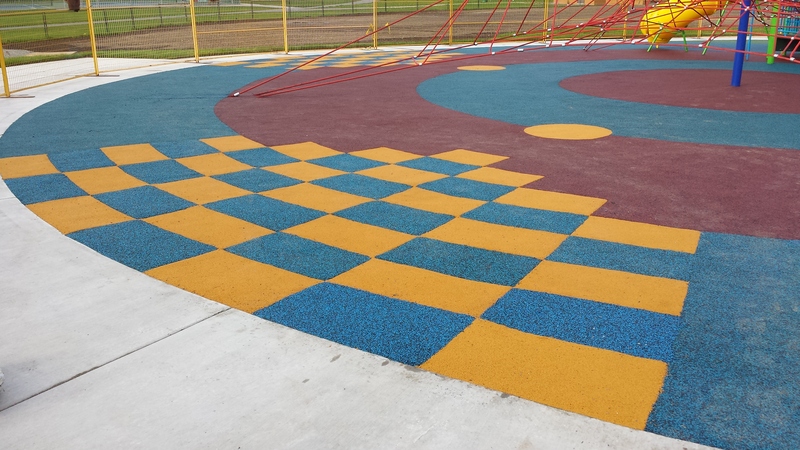 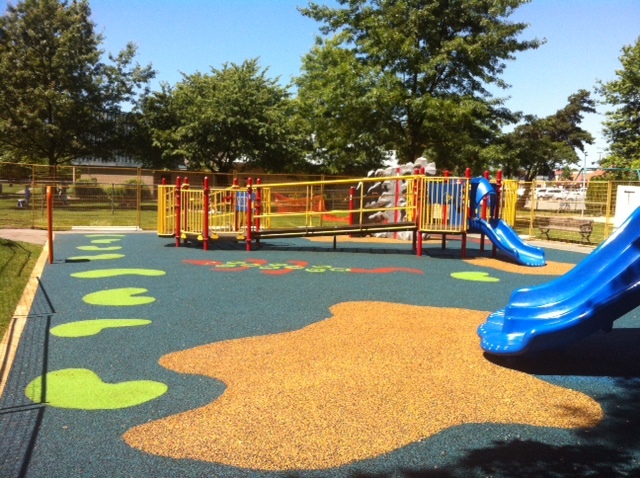 Landsafe® offers tremendous advantages over conventional loose-fill playground surfacing. 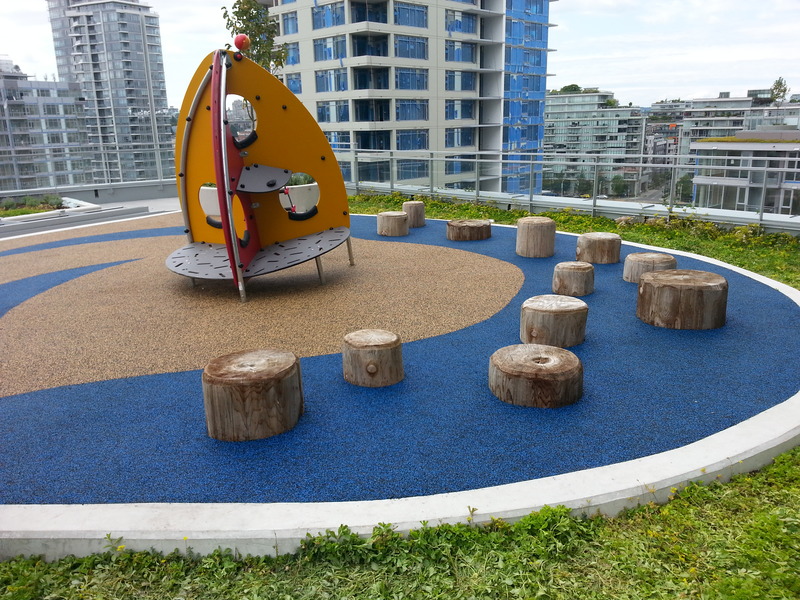 Photo courtesy of Landscape Structures Inc.
play and movement. 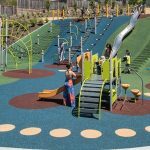 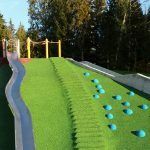 We are achieving this by designing and installing play areas that include 3 dimensional elements such as anthills, hillside mounds, tunnels, animals, spheres and so much more. 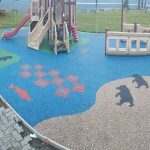 If you can imagine it we can create it!